Technology changed so many things around us and changed the way we do things. Friends used to tell us that they like what we are wearing and now they double click on our image. Mothers used to take forever to cook a meal and now a quick whiz in the microwave does wonders (I am against microwave cooking). Writing was done using a pen and paper and now kids get too bored when they write because they are just not used to it. Televisions, mobile phones, and of course, books have changed. I recall having my mother drop me off to the Family Bookstore biweekly just to choose a book to read but nowadays, with the internet, I can browse through pages and pages of Amazon books without leaving the comfort of my home. I have realized that this is an addiction when I started classifying my wish lists into “wish list- to buy,” “wish list: work,” “wish list: children”, and finally “wish list- maybe”. For those who think they can cure me, I choose not to be cured and I am happy with the fact that I love to collect books. Hello, my name is Bedoor and I’m a book hoarder. Am I against change? Maybe. Resistance to change is an issue many people undergo. Most people are more comfortable with their routine and rely on the way things were always done. So you see people who grew up with physical books are more inclined to prefer them over the electronic readers, whereas kids this age are more comfortable reading in their electronic devices. I prefer my books. I prefer to engage all my senses in reading. I prefer to revel in touching the cover and feel the crisp pages between my fingers. I revel in the scent of the bookstore, the sound of nothingness, and the stacks and stacks of books. Book utopia. E-readers are the new libraries without the space, shelves, and magic. I am not saying E-readers are bad, reading is such a personal and dear matter to me I have my customs. Many tried to convince me that E-readers are better since they would “save space when traveling.” Now would they, REALLY, save space? Think of the maximum number of days you would be away on vacation. Two to three weeks? Now think of the number of books you will read. Pack them up, how heavy are they? Do you need a charger with them? Our eyes are already staring at screens all day we need to give them a break. We need to enjoy the classic process of holding a book in our hand at the end of each day. Reading in bed with the lights within hand’s reach is such a beautiful experience the reader tends to go to sleep while still between worlds. I would rather turn the book over and contemplate the events between chapters than turn the e-reader off. Fumbling to find the bookmark between the sheets just to wake up the next morning to see that you’ve dropped the book on the floor (and the bookmark is across the room). My books are a part of me. They are a part of my past and each book holds a special place in my heart. I recall most of the times I purchased the books and the feelings I had reading the back cover. I can spend hours just looking at the covers and reading the titles, remembering some interesting detail that I just never forgot. 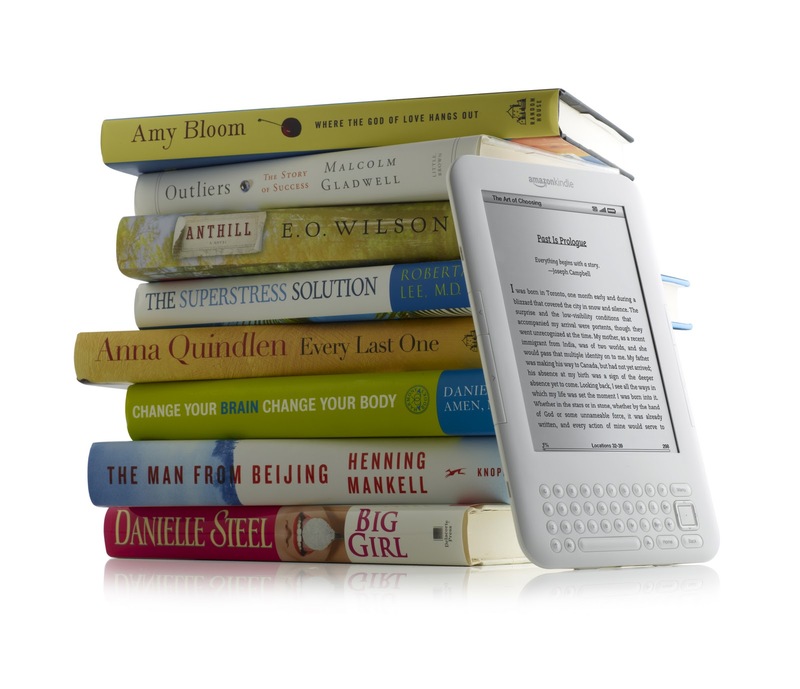 With E-readers, how can I do that? Will I remember how I felt buying the book on the E-store using my credit card? It’s not personal enough. I tried both methods and I choose the contemporary book any day. I can’t deal with more electronics, they are too impersonal and aren’t reliable all the time. I would rather give my son a physical book to flip through, to use his fingers and touch the parts that are made out of cloth or fur just to have a feel of what the item is. He will eventually have the choice when he grows older but I believe the way we grew up wasn’t so bad.